I have a confession to make: I'm obsessed with wireless portable audio gear. Bluetooth earbuds, headphones, and portable speakers excite me more than they probably should. And I'm OK with that. My wife, however, gives me "the look" every time a new gadget arrives, rolling her eyes so far up her skull she could have easily become a soap opera star or an extra on The Walking Dead. She doesn't get it - she's not a geek who loves to get to the bottom of every feature, spot every miniscule detail, and figure out if we have something special on our hands. She doesn't get why I travel with 4 pairs of headphones and a wireless speaker. And lucky for you, she's not the one reviewing JayBird's latest and greatest Bluetooth earbuds - the BlueBuds X.
I've been using the BlueBuds X (BBX) for about 2 months now, which allowed me to test it out in a variety of situations and form an opinion of where it stands compared to some of its competitors, such as the Sony HBH-IS800, Sony Smart Wireless Headset Pro, Sony MW600, and Meelec Air-Fi AF9. 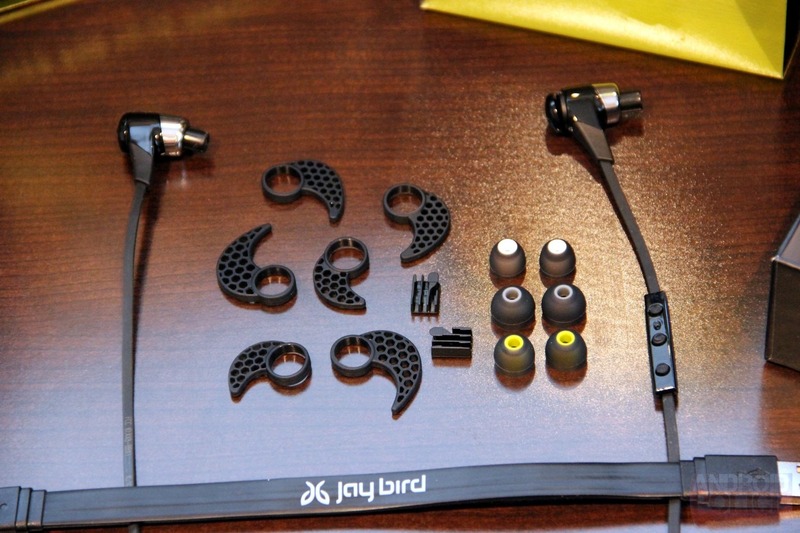 I haven't had the pleasure of trying JayBird's previous flagship called the Freedom (Cameron reviewed it back in November of 2011), so unfortunately I can't compare the two outside of pointing out the obvious evolution of design and bud size. But what I can do is break down all the positives and negatives, and let you decide for yourself whether the BlueBuds X is right for you. 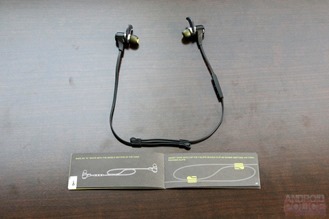 The JayBird BlueBuds X is a $169.99 set of highly compact Bluetooth earbuds that consists of two buds connected with a single wire about 21 inches in length. A 3-button remote with a built-in microphone is positioned about 2 inches away from one of the buds. You have the option of White and Midnight Black colors - I'm reviewing the latter here, as you can see. Unlike many other Bluetooth setups that I only consider semi-wireless, the BlueBuds X (below, in the middle) is truly portable. 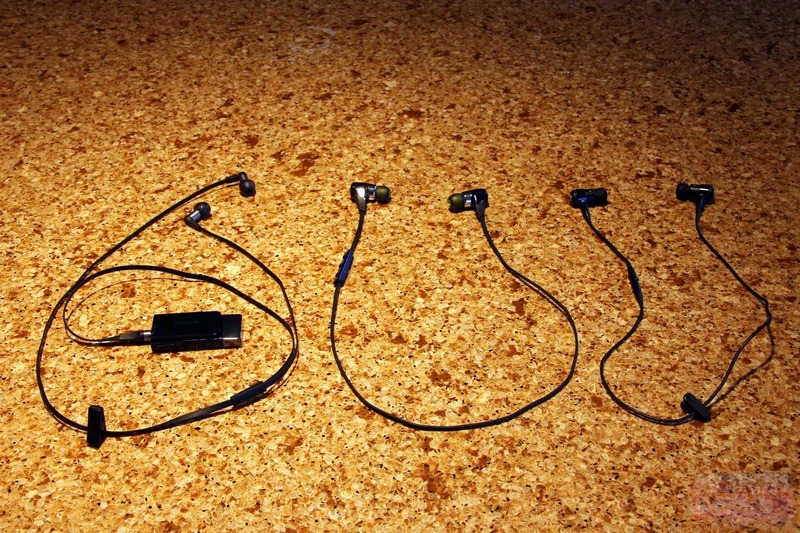 There is no separation of the earbuds from a control unit, like in the Sony Smart Wireless Headset Pro (below, on the left), the MW600, or the AF9 - it's just a one-piece, like the HBH-IS800 (below, on the right). No, there is no Nexus 4 in the box. Bummer, I know. I am a big fan of lists, so I'm going to present this review in 3 lists followed by the conclusion. I think lists are easy to parse, especially when the main keywords are highlighted in bold. Do you like or dislike this format? Let me know either way. MicroUSB charging - the fact that I can charge my buds with any microUSB cable is a huge advantage, one I'd put at the top of any review, be it for buds, headphones, or portable speakers. The design that lets you actually plug the cable into one of the buds given their size is even more phenomenal. To achieve this, Sony went for a proprietary cable with the HBH-IS800, and according to Cameron's review, the much-larger Freedom shipped with a non-standard undersized microUSB port. The rest of the models I'm comparing to have a dedicated larger control unit, so microUSB there is pretty much a given. 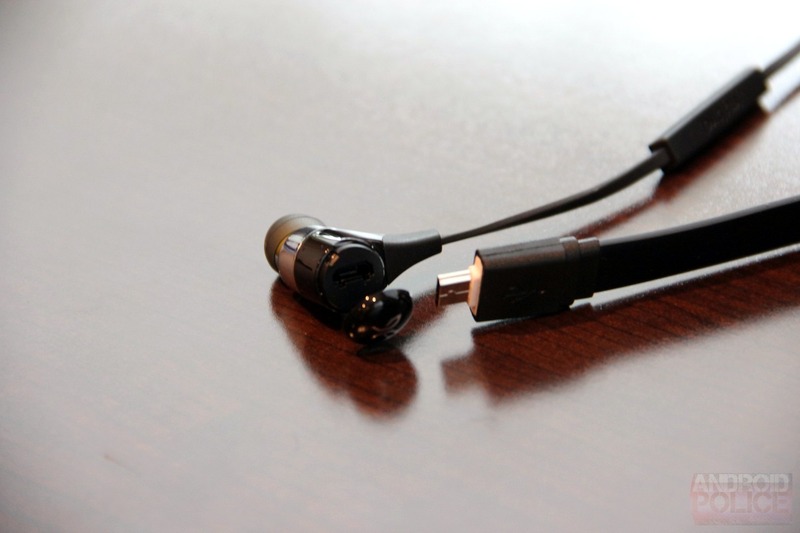 Related to the above, the BlueBuds X ships with an awesome flat MicroUSB cord I absolutely love. It's so portable and elegant - I just want to use it all the time with everything. Sound isolation is good, although, surprisingly, one of the main downsides of the BlueBuds X is the lack of a proper seal. I discuss the latter in the Minuses section below. Nevertheless, I can't complain about sound isolation, having tested it in a variety of noisy situations - most recently on an international flight from MWC - I could only hear engine hum at 3 clicks from the loudest volume and no noise at all at full volume, with music playing, of course. Volume - plenty loud. 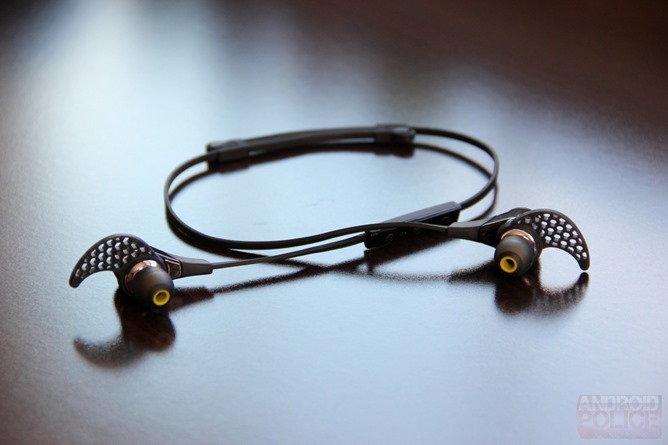 Unlike the HBH-IS800, which were unusable for watching movies anywhere with any noise present, I don't have any such issues with the BlueBuds X. Watching The Walking Dead at a gym is kind of a tradition now, though using them on a treadmill is out, unfortunately, as I discuss further down. Bluetooth reception. Mostly good. Really good. According to JayBird, we can thank the technology they call SignalPlus for the improvements, which supposedly prevents signal droppage no matter where on your body you stick the transmitter. But I still experienced occasional annoying interruptions that reminded me I was indeed using Bluetooth. I have never used BT buds or headphones that don't have this connectivity problem, even at short distances, such as your pants pocket to your head. Once again, I do have to point out that BlueBuds X really does skip considerably less than its competitors I tried, so SignalPlus indeed seems to have some substance. While the audio quality loses out just a bit to the Sony Smart Wireless Headset Pro, it's not by much. The bass is strong, the mids and highs are good - it satisfies me completely in the sound department. JayBird has a whole section of the BBX site dedicated to audio, including PureSound, which is supposed to eliminate listening fatigue, and Shift, a rewritten Bluetooth stack. Great battery life. This unit is rated for 8 hours of play time. Unfortunately, my real-life tests proved that number to be vastly overstated - I don't think I've ever gotten it to play that long. Still, I decided to include battery life in the list of positives because even 75% of the claimed capacity is impressive at this size. Exactly 6 hours of continuous use at an average volume (6 clicks down from the highest volume on the buds and full BT volume on the Note II) from full charge to the "battery low" warning. Exactly 20 more minutes of playback until full shutdown. Nooo! I still had 5 hours to fly. Good thing I brought a portable charger and a few backups. No annoying beeps every 20 seconds when the battery is low, which was one of Cameron's complaints with the JayBird Freedom. Thanks for fixing that, JayBird, that would have annoyed the crap out of me. Premium build quality - everything about the BludBuds X screams quality. I've also dropped them on the ground a few times without causing any damage (but don't do that on purpose). Regular or upside down (over-the-ear) X-Fit, which some people may prefer (I personally can't stand going upside-down, plus I haven't noticed any improvements in the buds' ability to stay in my ear when I do that). The BBX supports multiple device pairings (8 to be exact, with the oldest ones deleted when you pair new ones) unlike some other BT headphones out there that only remember one or two pairings. 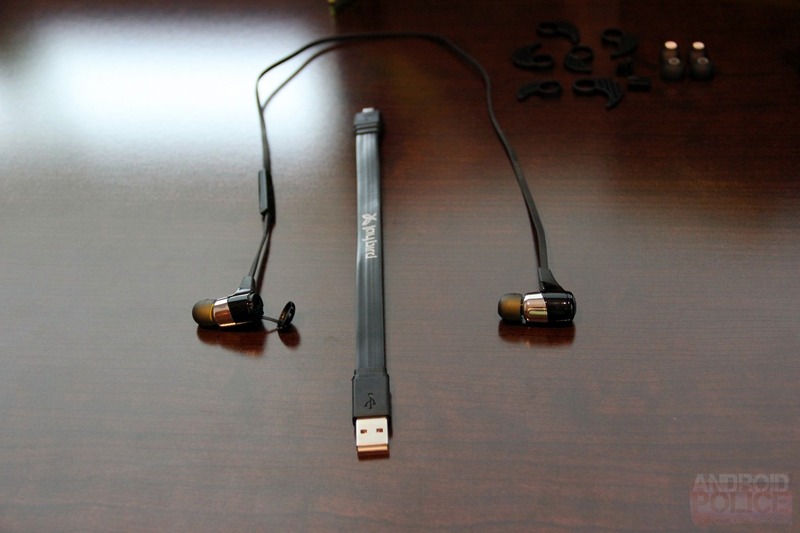 Note that I don't mean simultaneous connectivity to multiple devices (the Sony Smart Wireless Headset Pro supports 2 simultaneous connections, for example), but rather memory of previously paired devices. The Sony HBH-IS800 supports only one device, which is a huge shortcoming. A really nice touch: you can initiate pairing mode by holding the power button when turning them on or by briefly holding Volume Up and Volume Down at the same time when they're already on, so there's no need to turn them off and back on to pair something new. Sweet. There are no pin codes to enter while pairing - everything works instantly. If they're already connected to one device, they recognize when another is trying to connect and switch to it while announcing in a pleasant female voice that the "connection switched." Again, however, there is no simultaneous connection support like with the Sony Smart Wireless Headset Pro. Power-off timeout, then instant reconnect (rather than having to power it back on with a long-press again) - just press the power button once, and they reconnect to the last used device within a second. Brilliant. I've had lots of connection issues with Bluetooth audio gear in general, but after months of using BlueBuds X, I haven't had a single misfire here. The process of (re)-connecting is stellar. Volume Up, but Next if you hold it (there's no FF). Multifunction button (Power On, Power Off, Play, Pause, pick up, hang up, redial, switch between calls, voice dial). Volume Down, but Previous if you hold it (there's no REW). You can also mute and unmute by pressing Volume Up and Volume Down together. Furthermore, you can switch the active call to BlueBuds X by pressing Volume Down. "Searching for your music device"
Lifetime warranty against sweat. 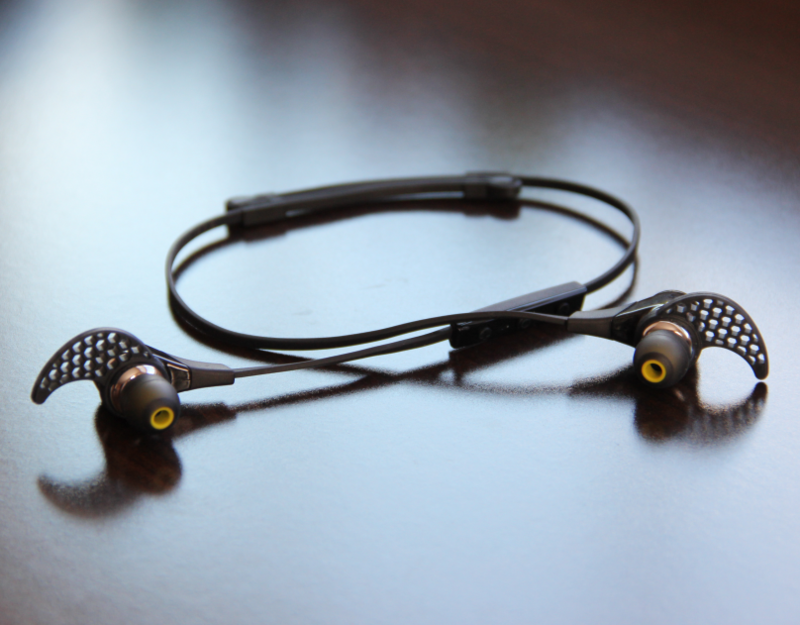 In fact, JayBird used Liquipel's super hydrophobic process to provide this protection. The seal isn't as perfect as with other earbuds (Ultimate Ears Super Fi 5 Pro, Sony Smart Wireless Headset Pro, etc), even after trying all three bud sizes. The Secure Fit ear cushions help the buds stay in my ears (see the next section for more about Secure Fit), but unfortunately they wiggled out of them little by little while jogging. Using the controller will probably pull it out of your ear. When I first tweeted about the BBX, I got this tweet which warned me this could happen. And it did. Sadface.jpg. Some other reviewers found similar issues. However, sound isolation is still good, and so is the bass. But seal doesn't really exist - the BlueBuds X have a tendency to just slide out of my ear canals. Related to the above: bud size. 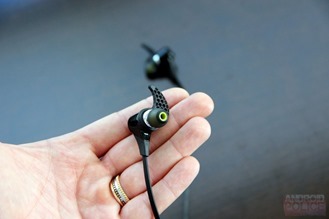 One of the reasons the Sony Smart Wireless Headset Pro stays in my ears so well is the small bud size. They fit very snugly and don't want to get out. The BBX, on the other hand, due to having to cram all of the circuitry into the buds themselves, ends up weighing itself down and out of my ears. Because the buds are so big and the tips are pretty shallow, they don't dive deep into the ear canal to establish the necessary seal. Also related to the above, here's a special case. The BlueBuds X buds are too big to use while resting your ear on some surface, say, while trying to nap on a bus, train, or plane. You can't put your ear on a pillow comfortably and just tune out - they're simply too bulky. I had no problem napping while wearing the Sony Headset Pro buds, for example. Price - $169.99 is no small chunk of change no matter how you look at it. I think the sweet spot for these would be around $130, but sometimes you have to pay a premium for the best of the best, and the BlueBuds X is definitely one of my top choices in the BT bud category. No shirt clip for the midpoint of the cable. I definitely think this is a serious omission. A small shirt clip prevents any kind of unevenness and cord travel and ships standard with most other BT buds. However, the BBX doesn't have it, and the company doesn't have one in development - I asked. On Android, there's no way to find out how much charge you have - I double checked with Jaybird: there's indeed not a way, and they're not making a companion Android app. iOS, however, seems to have built-in support for earpiece charge status (boo, Android). The only way to roughly figure out the battery level is by watching the LED status light while pressing Volume Up or Down. If it flashes red, the battery is low. Green - you still have some juice. Even so, for some reason my BlueBuds X stop flashing the LED in response to button presses after a while. Shutting them off and turning them back on brings back the LED, but shortly after it stops responding again. This sections contains a few observations that didn't belong to either section above. Secure Fit ear cushions. In theory, these cushions, which slide onto the buds and then help lock them in your ears, are a fantastic idea. In real life, however, I found them to be pointless. They do help keep the buds in while at the gym, for example, but because I couldn't get a proper seal, as discussed above, I found the buds slowly sliding out and just kind of dangling in my ears instead of simply falling out. I ended up just removing them and using the BBX without them altogether. 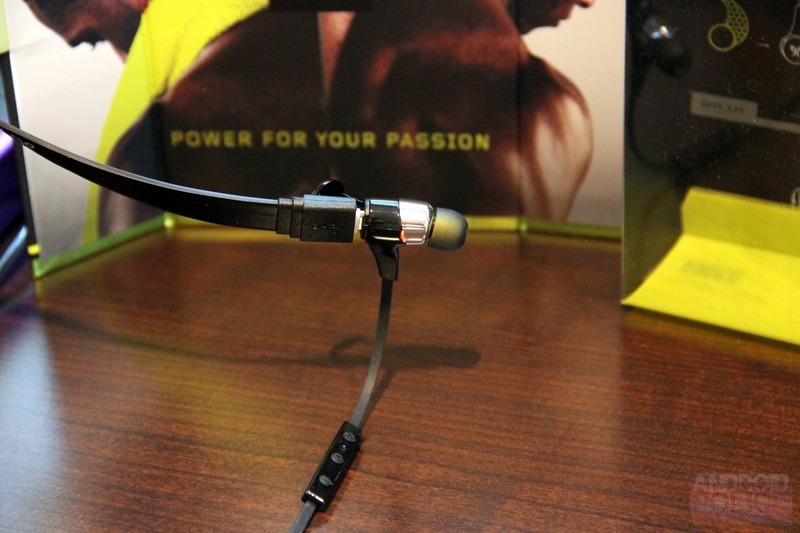 Unfortunately, this means that I take a competitor to my workouts: the Sony Smart Wireless Headset Pro. I've watched a plethora of JayBird-produced videos of professional athletes using the BBXwhile doing whatever insane things they do every day, but have to wonder if they really have no trouble with the fit. I have my doubts. Again, I've found that most earbuds fit my ear canals great and stay in with a proper seal. But not the BlueBuds X. And this is one of their biggest downsides. They were so close to perfection. So close. No rewinding or fast forwarding, but there are only 3 buttons, so it's excusable. At least Previous and Next are supported. 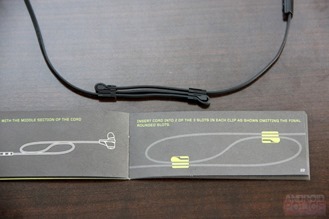 The 21" cord connecting the buds is flat and is made of high-friction rubbery plastic. It's by far not a deal-breaker, but I would have preferred a round cord because it would create less friction with the skin on my neck. Even better if it were made of Kevlar or something equally as strong and frictionless - the V-MODA M-100 I'm also reviewing has shown me the light. Silences sound for a brief second and (sometimes) beeps when using VolDn and VolUp on the remote - minor but annoying. Bluetooth version 2.1 + EDR - the manual says newer BT versions, such as BT 4.0, offer no benefits for headphones, but I wonder if that's really true and whether future versions of Android would in fact offer benefits for BT 4.0 devices. BT call quality could go from excellent to absolutely terrible. I'm not sure if it's dependent on a certain phone, but on the One X+, I remember hearing terrible 80s-style static on the line, as if I were using an old rotary phone. People could apparently hear me well, but I could barely tell what they were saying because there was so much static. However, when I tested on the Note II and the Nexus 4, call quality was good. Your mileage may vary dramatically in this department. There's no way to update the firmware like you can on, say, Sony Smart Wireless Headset Pro (I've confirmed this with JayBird). Considering there's no screen, there isn't a lot that could be updated, but I would always welcome any possibility of improvements and bug fixes (for example, see the call quality bullet above and the last bullet point in the Minuses section about the LED that stops flashing - both things a firmware update could have probably fixed). It's something I thought was worth bringing up in this section - I'm not counting it as a negative. Recharge time should be anywhere between 2 and 2.5 hours. Standby time is said to be 250 hours, or just over 10 days. I'm assuming they're talking about power-on without sound, not the standby it goes to after an idle timeout, which should use no power. This review ended up being pretty long - over 3,000 words - so I don't blame you if you peeked here first. I urge you to read the bullet points above if you're interested in the details, but if you're looking for a concise summary, here it is. 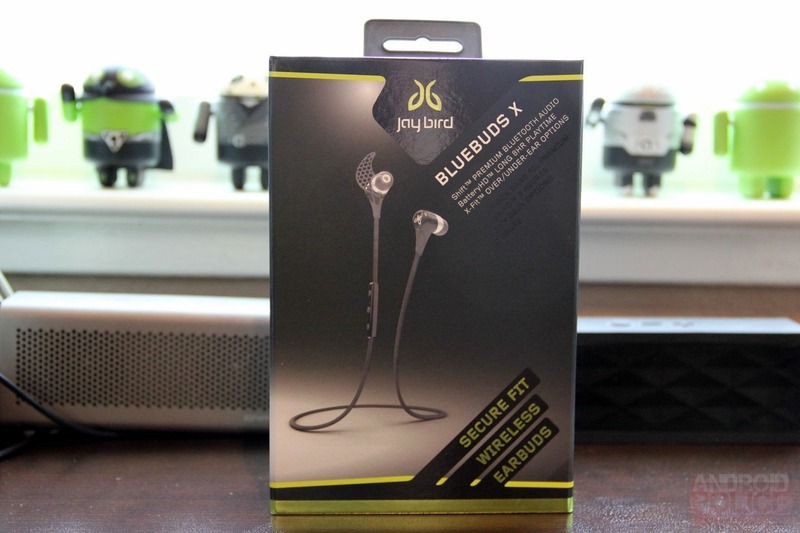 The BlueBuds X are almost perfect, though pretty expensive at $169.99. 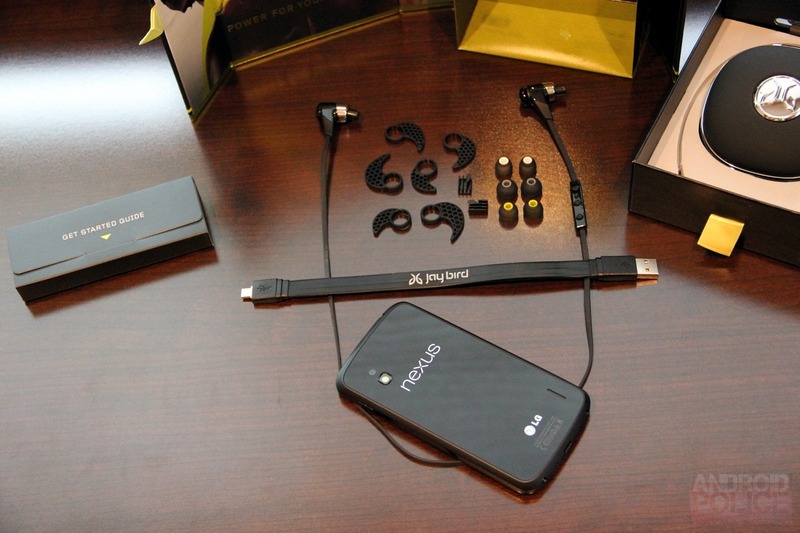 The portability, sound quality, functionality, and build quality are top notch. I use them every day almost everywhere I go, and I have over 10 pairs of various headphones and buds to pick from. They're my go-to buds, bar none. They're comfortable and almost disappear, meaning you don't notice having them on, which is exactly what I look for in portable audio. They were absolutely perfect for going to the driving range and getting in the zone without any distractions, perfect for studying, perfect for walking about. There's only one exception, and that is an activity with lots of bouncing involved, such as running or active sports. I just can't get the BBX to stay in my ears, even with the Secure Fit cushions, which are supposed to prevent this sort of thing. The buds are large and slippery, and as soon as any sweat shows up, just wiggle out of my ears. You may have better luck - nobody's ears are molded the same way. So if you're planning on doing a lot of working out, I'd definitely watch out for the fit. If you can afford it, buy them anyway and wear something else to the gym. 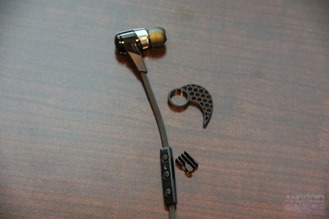 Everyone needs to experience life without wires, and the BBX is probably the closest you can get to perfection today. Now go read the rest of the review, since I know you jumped here first. Just do it. Check out this sweet product brief which also has a handy size comparison chart on the 2nd page. JayBird's BBX site is really well-done too.